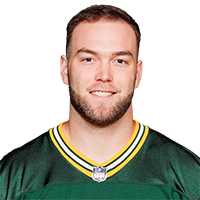 Baylis signed a reserve/future contract with the Packers on Monday. Analysis: Baylis has logged stints with the Texans, Colts and Panthers over the past two seasons, spending the majority of the time on practice squads. He'll look to carve out a role in Green Bay during the upcoming offseason. There are no videos available for Evan Baylis. Click here to view all videos.